Most of you know that I spent a year on a farm in Montana. Some of my Facebook followers also know about all my adventures in raising chickens and goats and turkey and starting my first ever vegetable garden. 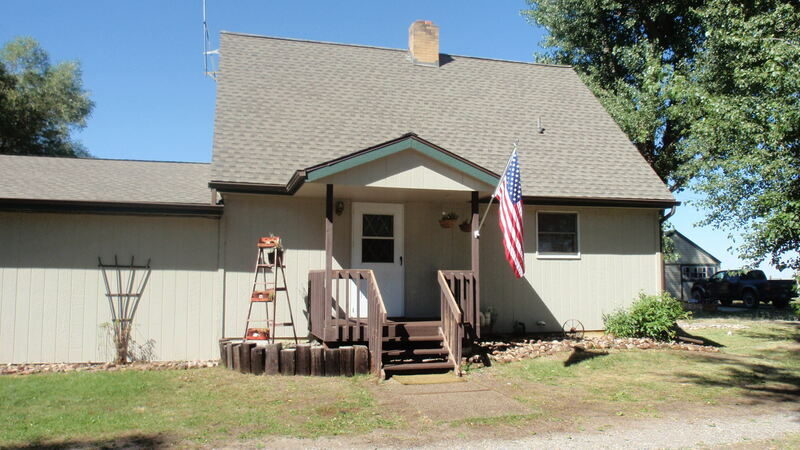 I have to say, that living in Montana did impact me positively and I give my Montana farmhouse credit for bring out the love of renovation, refurbishment, and repurposing old things and giving them new life. While I found so many goodies in the barns and garages of my new home to refurbish and repurpose, I didn’t start with those. I started with the biggest project I saw in front of me. That would be my new home. 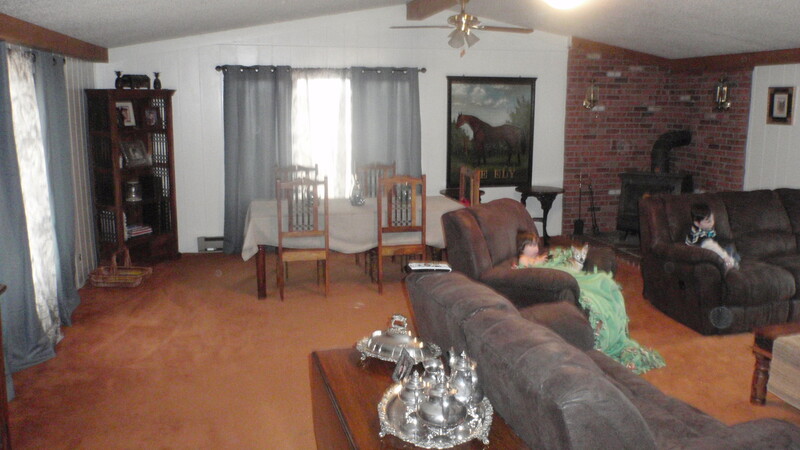 First thing I decided to tackle and the biggest eyesore was the living room. 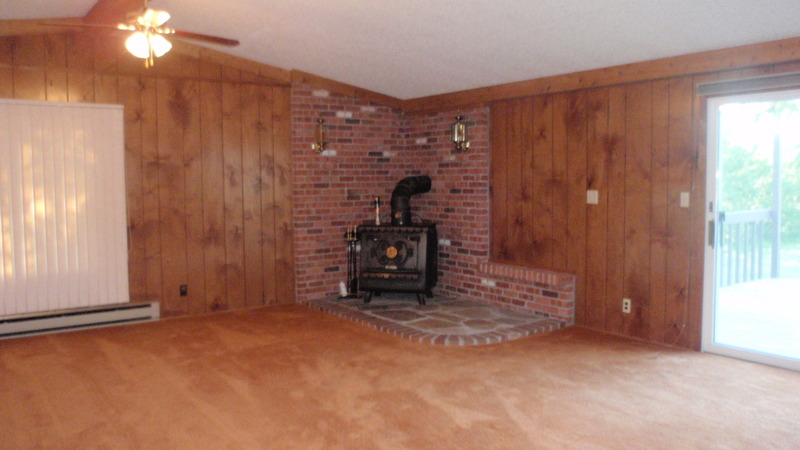 The living room was big and spacious and had the loveliest wood burning stove. 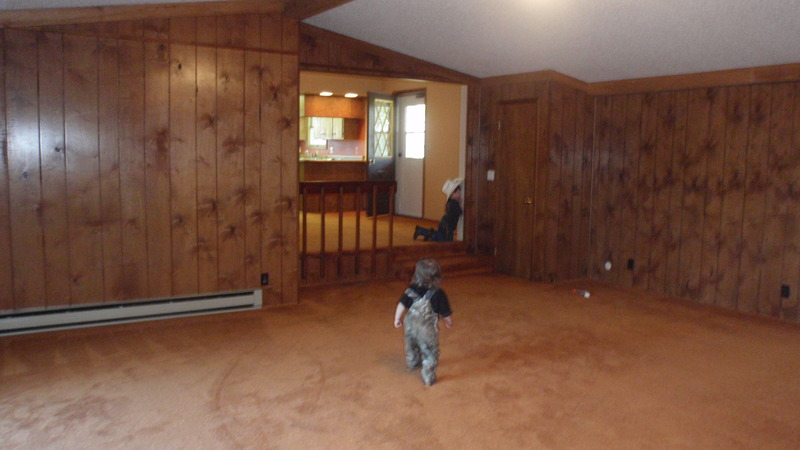 The cons were the dark walls adorned in wainscot, and the atrocious burnt orange carpet. Before our furniture was scheduled to be delivered, I decided to tackle the depressing 1960’s walls. 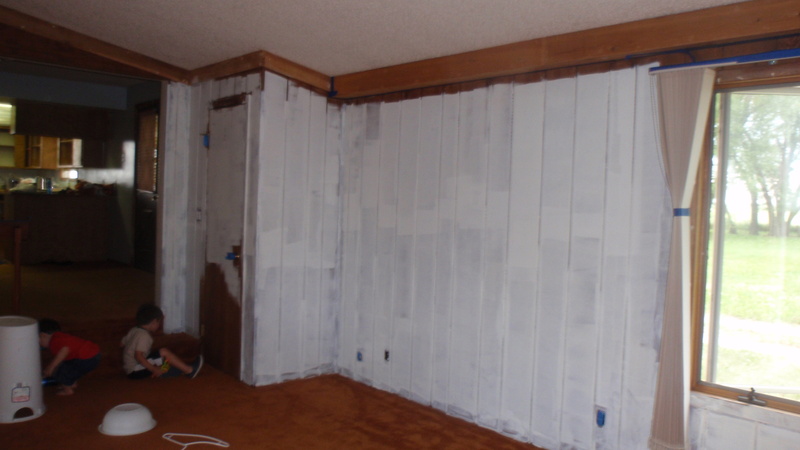 I did some research online and read all the steps necessary to paint the walls a cozy country white. I didn’t realize just how time consuming my task was going to be and that It would take several months to complete. 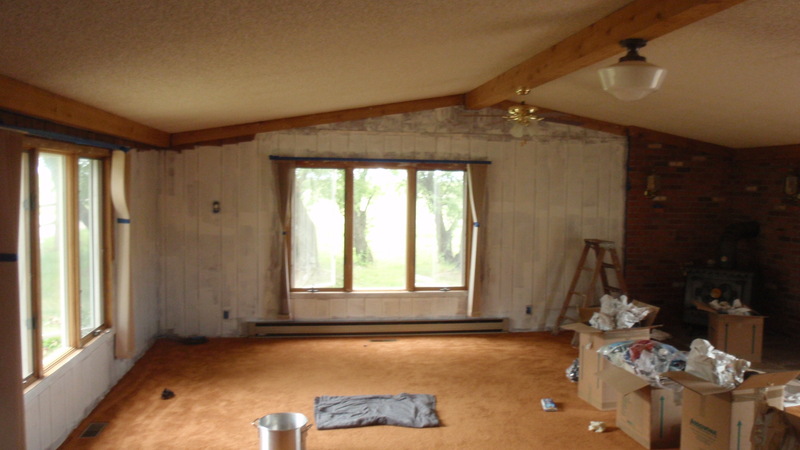 The first step in this renovation was to sand the walls of their finish. 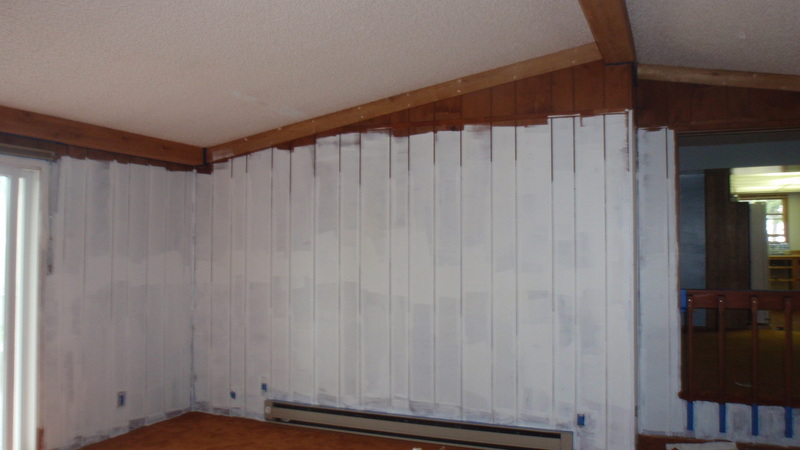 Sanding the sheen off the walls was important in allowing the layers of primer and paint to adhere to the walls. When I say layers, I mean layers. After sanding, then taping out the room, I applied three coats of primer and three coats of the country white color I chose at the local Home Depot. 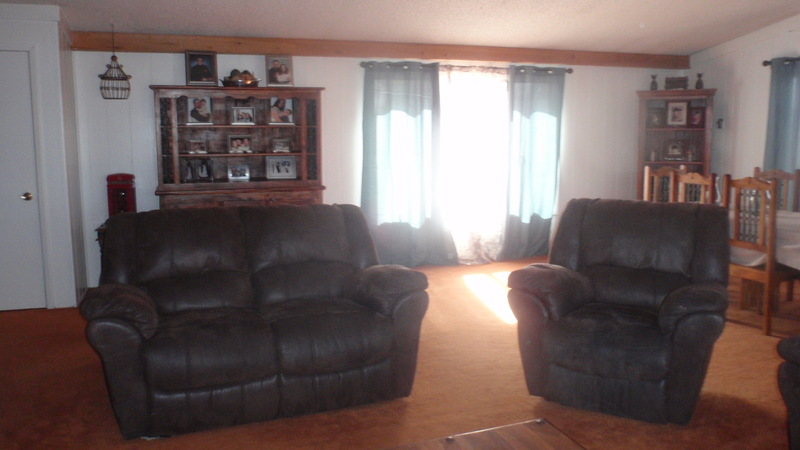 As you can see the difference in this room was night and day! Next step in my renovation was laying a vinyl tile in a French Country design. 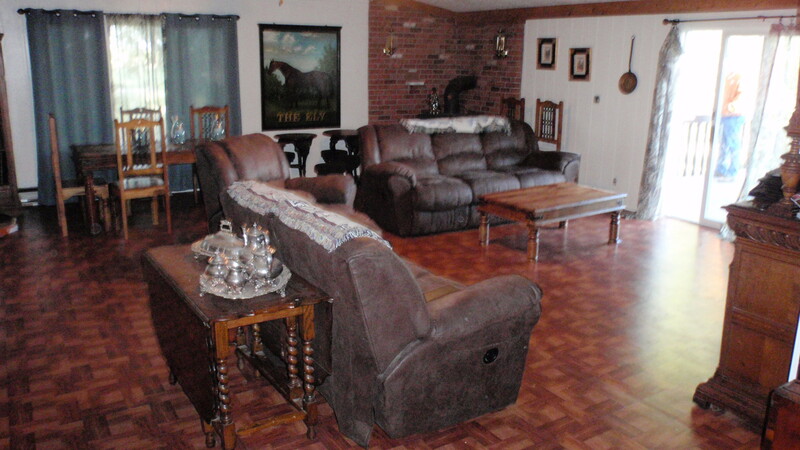 We had the living room professionally done, but I actually did the rest of the house with the help of my husband. Very simple to do, but it was hard work none the less. Here is the finished product with all my British antiques. I have to say, I was incredibly proud of all my hard work and the feeling that I could accomplish any task with a concrete vision, a thought out plan and a carefully worked budget. 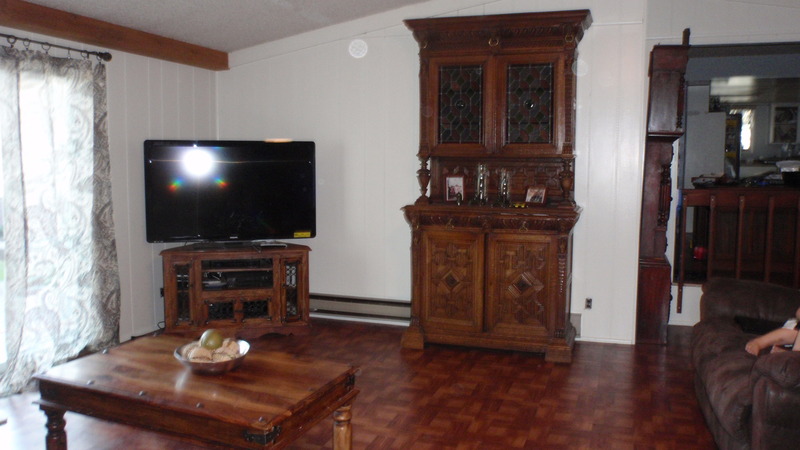 After the living room makeover, small repurposing projects and renovations to my home were not so scary. Now that I don’t have a 13 acre farm to keep me busy, I have been so blessed to channel my love for restoring into beautiful forlorn furniture. Hope you enjoyed the posts and the little trip down memory lane. 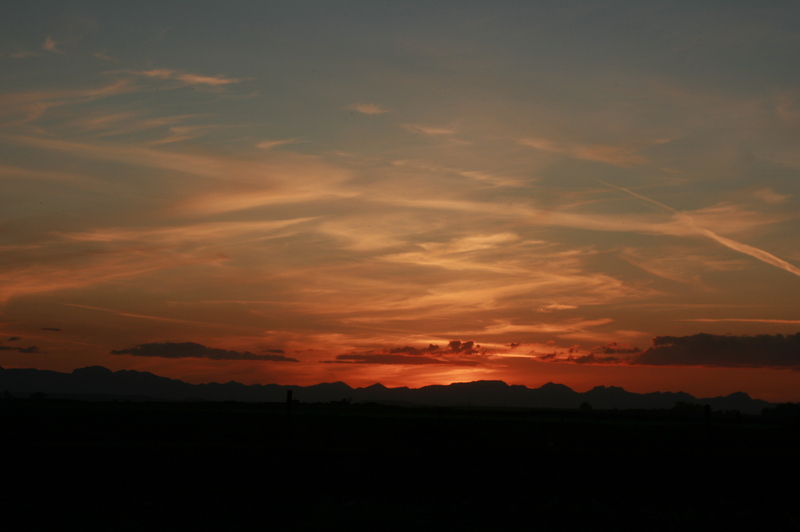 I will leave you with a picture of the beautiful sunset over the Rocky Mountain Front. Until next time, hope you find beauty in the most unique places and hope your days are filled with a sense of passion in all you do. really such a nice post.